On February 9 at 9:00 p.m. (8 central) please tune in to watch the exciting preview of PAST LIFE, a series inspired by fellow author and my friend MJ Rose's bestselling novel The Reincarnationist. Springing off the premise of MJ's spellbinding series, whic h feature the Talmadage Center for Behavioral Health, where the study of reincarnation is a scientific pursuit, this new television show promises an incredible journey into past life regression coupled with a thrilling police procedural unlike anything seen before on television. The special preview on February 9 will be followed by the series premiere on Thursday, February 11. I'm a big fan of mythological shows like Fringe and crime shows like CSI: New York, so Past Life looks just like the type of show I'd like to see more of on our reality-glutted screens. I also love MJ's novels in the series, The Reincarnationist and The Memorist - both of which, together with her upcoming new release The Hypnotist, will be published with gorgeous new cover designs, so you can read as well as watch! The General Assembly of the United Nations has designated today, the 27th of January, as the International Day of Commemoration to honor the victims of the Holocaust. This year, the theme is "The Legacy of Survival," emphasizing the universal lessons that survivors pass on to succeeding generations. On this day in 1945, the concentration camp at Auschwitz was liberated by the Soviet Army; 5,000 prisoners had been left behind to die and many survived to bear witness to the atrocities committed at the camp, helping to both hunt down and prosecute fugitive Nazi criminals. It is estimated more than a million people died in Auschwitz; a staggering 90% were Jewish or of Jewish origin. The other groups who died in large numbers were Sinti and Roma (gypsies), Poles and Soviet prisoners-of-war; gay people and people with disabilities also perished in the camp, often after months of slave labor. United Nations Secretary-General Ban Ki-moon said in 2007: "The International Day in memory of the victims of the Holocaust is thus a day on which we must reassert our commitment to human rights. [...] We must also go beyond remembrance, and make sure that new generations know this history. We must apply the lessons of the Holocaust to today’s world. And we must do our utmost so that all peoples must enjoy the protections and rights for which the United Nations stands." In honor of the millions who suffered and died during the Holocaust, I'd like to recommend a book that, for me, became a profoundly transformative experience when I first read it in my teens: Elie Wiesel's Night. Now a Nobel laureate and the author of fifty-seven books, Mr Wiesel and his family were deported to Auschwitz when he was just 16 years old; he spent eleven months in Auschwitz and Buchenwald. What he saw and underwent are unforgettable. Written with devastating simplicity, Night is one of the most important personal testaments about the Holocaust. Mr Wiesel once said, "In Night, I wanted to show the finality of the event. Everything came to an end—man, history, literature, religion, God. There was nothing left. And yet we begin again with night." Thanks to all of you for being patient. I did promise you to deliver the news as soon as it was "official" and today it appeared in PW. An era convulsed by religious reformation and a convent on the threshold of irrevocable change are the basis for Sarah Dunant's eloquent, compelling third novel in her Renaissance trilogy, SACRED HEARTS. When young and willful Serafina is immured against her wishes in the Convent of Santa Caterina, in the Italian city of Ferrara, she is merely following in the terrible footsteps of countless unwanted or tarnished girls before her. It is estimated that by the late 16th century, dowries had grown so exorbitant that almost half of the noble women in Italy were obliged to take the veil. But Serafina's rebellion is not like that of other girls'; heart-wrenching, relentless, and ultimately explosive, the disruption she creates sets off a series of events that grow to involve the wry dispensary mistress, the worldly abbess, and ambitious novice mistress. Each sees in Serafina a means of deliverance or downfall; each aspires to influence the wayward girl's course. 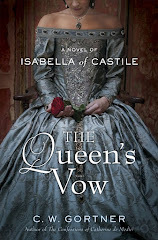 But as they struggle to subdue the passion in Serafina's rebellious soul, each finds she must come to terms with the sorrows, lost hopes, and decisions of her own past as well as the unstoppable changes bearing down on the convent from the outside. SACRED HEARTS is an extraordinary journey into a world we rarely see, a place where women sacrificed their personal desires and dreams to come together for safety. Though set within a convent, Dunant offers a rich and complex tale that will speak to anyone who has longed for redemption and fought for the impossible. Now available in hardcover, SACRED HEARTS will be released this April in trade paperback. It's actually Monday, I know; and a day to honor the legacy of Dr Martin Luther King. But for some reason this post didn't actually "post" when I timed it for yesterday. So, here is my Sunday author video, a day late. 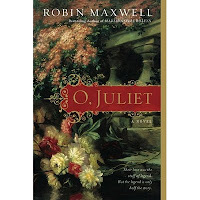 Author and good friend Robin Maxwell talks about how she fell in love with her husband Max and the genesis for her upcoming book, O JULIET, in which she novelizes for the first time ever the tale of the world's most famous lovers. Enjoy! 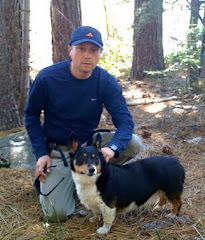 I'm delighted to welcome Ben Kane, author of The Forgotten Legion and The Silver Eagle. The Forgotten Legion was a 2009 Book of the Year selection at the UK-based retailer Waterstones and was recently released in paperback here in the US. Set amongst the splendor and chaos of the Roman Republic in first century BCE, the novel introduces us to four very different people struggling to survive. Ben offers us a detai led look at the underbelly of the oft-romanticized republican life through the eyes of two gladiators, a soothsayer, and a prostitute, as well as the horrors of the slave trade and of war at this time in history. 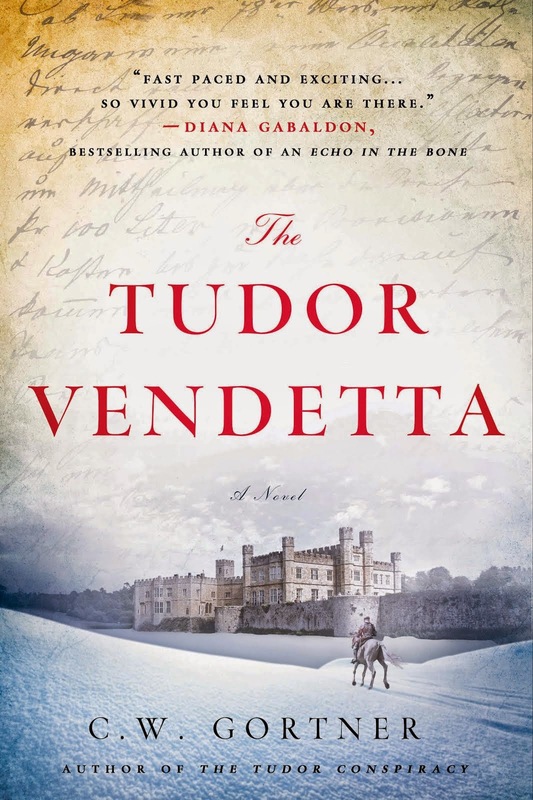 There's intrigue, violence, passion, and drama in abundance, making this a thrilling read; it also sets the stage for the exciting sequel, The Silver Eagle, which is due out on March 16 here in the US. Please join me in welcoming Ben Kane to Historical Boys! Just over ten years ago, I was fortunate enough to visit some of the countries in Central Asia. In the ruins of Merv, an ancient city situated in modern day Turkmenistan, I was absolutely intrigued to discover that Roman legionaries had been there more than two thousand years previously. This was half a world from Italy, and more than two thousand miles from the easternmost Roman provinces of Syria and Judaea. Upon my return home, I did some research, finding that the unfortunate soldiers had been captured after the battle of Carrhae, in 53 BC. Their leader had been Marcus Licinius Crassus, a member of the triumvirate which ruled Rome at the time. Unhappy at the shining military credentials of his co-rulers, Julius Caesar and Pompey Magnus, Crassus determined to annex the desert kingdom of Parthia. His stunning victory would earn him the Roman people’s respect, which he so badly craved. His plan came badly unstuck for a number of reasons. First among these was his lack of cavalry. At the time, Roman armies retained no horsemen of their own, relying instead on mercenaries – Spanish, Gaulish and German tribesmen. Alongside more than 30,000 infantry, Crassus had only 2,000 cavalry. Ariamnes, a local tribal leader, had brought approximately 6,000 horsemen to augment these forces, but, as so often in such cases, they were of questionable loyalty, and duly deserted before the battle. A second reason for Crassus’ defeat was the military expertise of his opponent, the Parthian general Surenas. Along with his 1,000 cataphracts, or armoured heavy cavalry, Surenas brought to the field approximately 9,000 horse archers. These warriors, trained to use their compound bows from childhood, were capable of loosing clouds of arrows while guiding their horses with only their knees. To the rear, a caravan of more than 1,000 camels carried tens of thousands of arrows, ensuring that the Parthians would not run out of ammunition. Once Crassus’ cavalry had been dispersed or killed, he and his infantry were completely at their enemies’ mercy. One can only imagine how terrible the ensuing massacre was. By the day’s end, more than 20,000 legionaries lay dead, and a further 10,000 had been taken prisoner. A mere 5,000 escaped to the River Euphrates and safety. No one knows what happened to the Roman captives – apart from the fact that they were marched to Antiochia (later called Merv) in Margiana (modern day Turkmenistan). There, at the outer limits of the Parthian empire, they served as border guards, and were lost to history forever. Struck by the unfinished nature of their tale, I eventually decided to write the legionaries’ story. The Forgotten Legion seemed a natural title for the book. The backdrop was perfect too, set as it was during the last days of a once mighty Republic, with the ensuing tumult of the civil war and Caesar’s rise to power. Armed with a quartet of interesting characters, three of whom would march with Crassus, and one who would stay in Rome, I sat down and began to type. Eighteen months later, I had a finished novel, and soon after, a book deal. Thank you, Ben. Best of luck! I'm looking forward to the next book and to Ben's new trilogy on the Second Punic War. To find out more about Ben and his work, please visit him at his website. Better late than never, right? 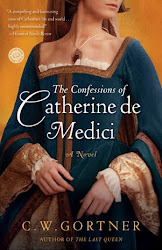 I wanted to again thank all the bloggers, in particular the fabulous ladies of The Historical Fiction Roundtable, where I'll be making my first official visit in May to promote The Confessions of Catherine de Medici. 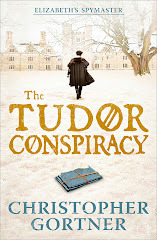 Bloggers tirelessly and enthusiastically championed my work in 2009; their support for writers is invaluable, and without them getting word out about my books wouldn't be nearly as fun or rewarding. 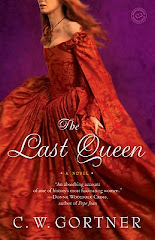 I was also just informed by my agent that The Last Queen was mentioned on several Best of 2009 Reads, which is fantastic! I am very grateful, and so, I like to think, is Juana herself, who's definitely having the last laugh. Thank you again, de corazon. It's 2010; time to win some bling! Happy New Year. I hope you had a lovely time ringing out the decade. May 2010 bring you much love, health, and success. Now, time to win some bling! 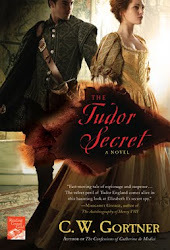 Fellow historical fiction author and good friend Robin Maxwell is launching her "O, Juliet Love Games" in celebration of her upcoming novel O, JULIET - a sumptuous, first-time-ever novelized account of the legendary lovers. Today, Monday, January 4th, and on the next two Mondays to follow, you can enter to win a signed copy of the book and a heart necklace (one hand-crafted solid silver, one blown glass, and one carved Thai silver) on Robin's blog. All you need to provide is your email address and answer a simple question about love. 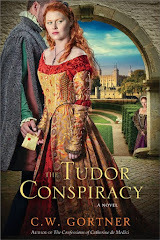 You can read a sneak peek of O, JULIET here. Good luck! What better way to start the new year than with books and jewelry?